Real life echoes the plot of Agatha Christie’s The Hollow. Just as the characters are all connected to each other through marriage or some form of familial relationship, so Brian Blessed – making his debut as a stage director at the Mill at Sonning – presides over a company including his veteran actress wife Hildegard Neil and his daughter Rosalind Blessed, a playwright and performer who has starred alongside her father before, in recent productions including last year’s King Lear. With his imposing personality and sonorous voice, one would expect Blessed to have an eye for the melodramatic and this Christie thriller proves to be the perfect vehicle for him. Leanne Rowe, as movie star Veronica Craye, an old flame of the murdered John Cristow, is magnificently histrionic, celestially framed by the French windows of Dinah England’s set. The gestures of some of the other cast members would not be out of place in a silent movie. Neil captures the fragility and perspicacity of the eccentric Lady Angkatell, in whose house the murder takes place, whilst Rosalind Blessed proves she is her father’s daughter as the dead man’s lover, Henrietta. 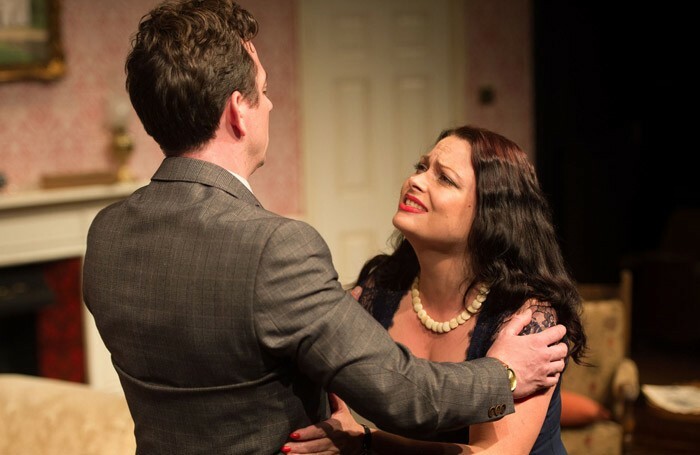 Francesca Regis is delightful and charming in the role of Midge and Blessed’s generous directing style gives firm focus to the smaller roles and brings out the comedy of the play whilst superbly exploiting George Telfer’s excellent timing as Gudgeon the butler. Natalie Titchener’s era-specific costumes are also exquisite.